For Cambria and anyone else up for an easy Indian dish: This is a great recipe, especially for using stuff on hand. But even for not using stuff on hand, it’s still a winner (almost surprisingly, I know, but try it). I hope this doesn't look like dog food to anyone . . . I made this yesterday with what I had on hand . . . which meant I had to substitute parsely for cilantro, black pepper for cayenne, lemon juice for lime juice, and ground ginger for fresh. It was still very good, but I bet it’s even better with the right ingredients! 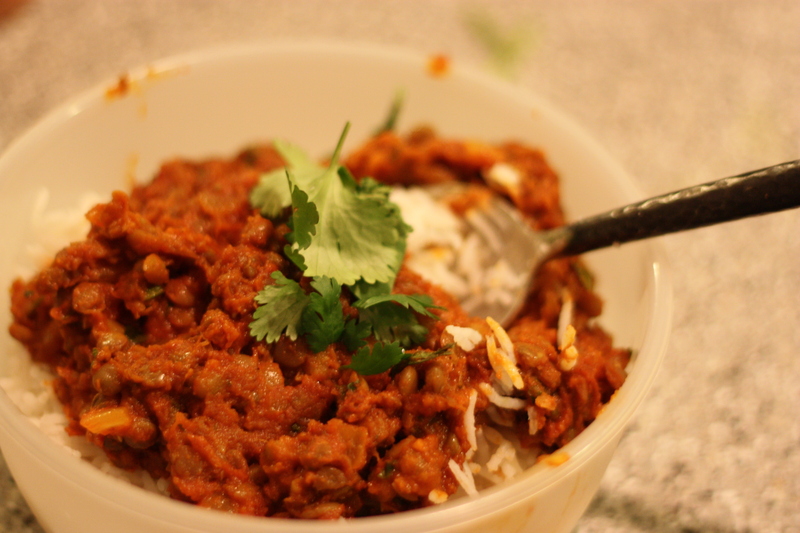 If you like this recipe (and you will), you’ll also like Martha’s East Indian Stew. I made that last night and it was amazing! there is a link right off of the curried lentils recipe.